It’s not something one can admit, but I really do miss smoking. I don’t miss the smell on my clothes. I don’t miss the stink in my mouth. I don’t miss searching for a lighter. I don’t miss how much it costs. I miss the ritual of lighting a cigarette. Nothing compares to that first drag from a fresh pack. Or, the way a cigarette feels in your hand when you have nothing else to do. I miss the social interaction that comes with smoking like when you need to bum a cig from a cute stranger or offer a cigarette during a lull of the conversation. Needing a cig also worked when needing to exit an awkward social situation as well. 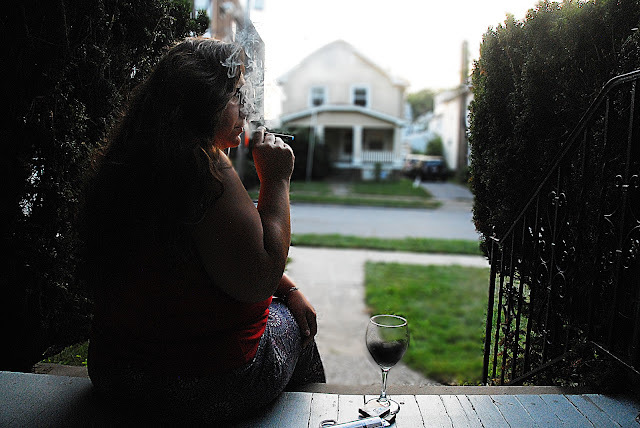 I stopped smoking when you could no longer smoke in bars and when the restaurant I worked for banned smoking breaks at the same time. You could take a break, just couldn’t smoke. I didn’t want to be in the cold hiding with my cigarette. Fast forward to today and there is another option for cigarette lovers - blu PLUS+ e-Cigs! 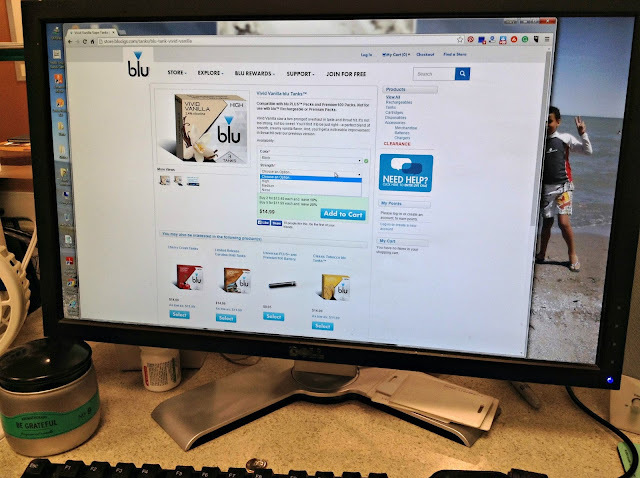 blu PLUS+ allows for smokers and former smokers the opportunity to smoke without the pesky downside like ash, tobacco smoke, or looking for a lighter. It's hard for me to buy a pack now because of the cost and the likelihood that I won’t finish the whole pack. 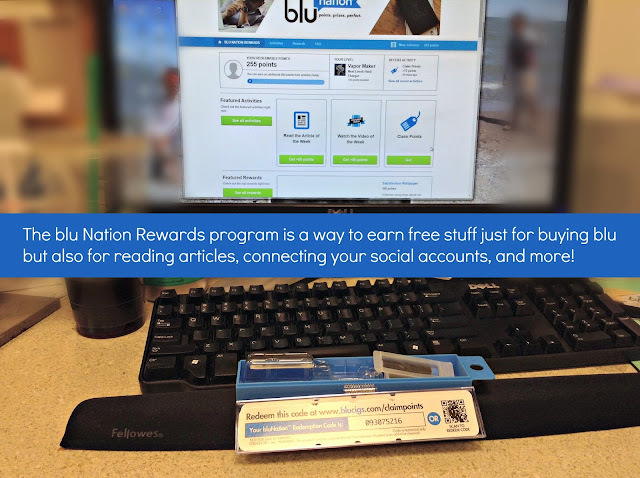 Having blu PLUS+ allows me to enjoy the experience of smoking affordably. 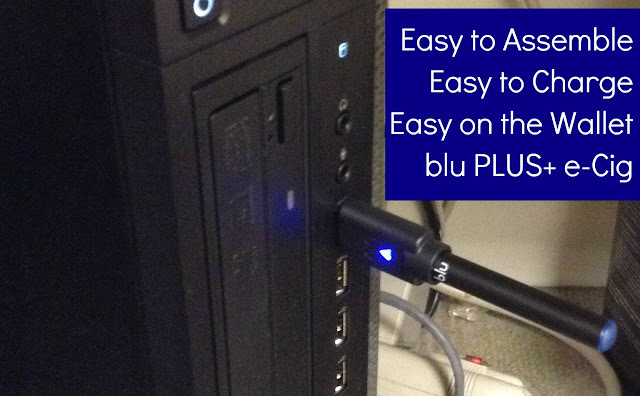 The Xpress Kit is perfect to try out blu PLUS+ without a pricey commitment. For a limited time, blu is offering a Xpress Kit bundle that comes with one blu PLUS+ e-Cig, two tanks, a USB charger and a free pack of flavor tanks. This is a $30 value for $14.99! The real question is: what is it and how does it work? There are two main parts to blu PLUS+ e-Cigs: the battery and the Tank. When you take a drag, the battery is activated which heats up the liquid in the Tank that turns into vapor. What you inhale and exhale is the vapor, no smoke. Ordering from their website could not have been easier. Since I rarely smoke anymore, I picked the Vivid Vanilla and the no nicotine Pina Colada. The Classic Tobacco gives you a choice of high or low nicotine and the limited edition Carolina Bold only comes in a high concentration. The other flavors: Magnificent Menthol, Cherry Crush, Vivid Vanilla, Peach Schnapps and Pina Colada are offered in none, low and high concentrations. The company claims that there are 500+ puffs per Tank! I haven’t counted; I’ll take their word on it. blu PLUS+ was super easy to put together. In fact, I can do it with one hand! Take it out of the box, it’s partially charged already so you don’t have to charge it right away then peel the sticker off one end (probably the hardest part), remove the silicone cap, twist the two parts together and you are good to go. When it needs to be charged, plug it into your computer using the USB charge included in the kit. The Classic Tobacco is smooth and easy to smoke. It was weird getting used to the weight of it, but it didn’t take long to get in a rhythm. It also wasn’t hard to stop. There is a stopping point when you smoke a cigarette. 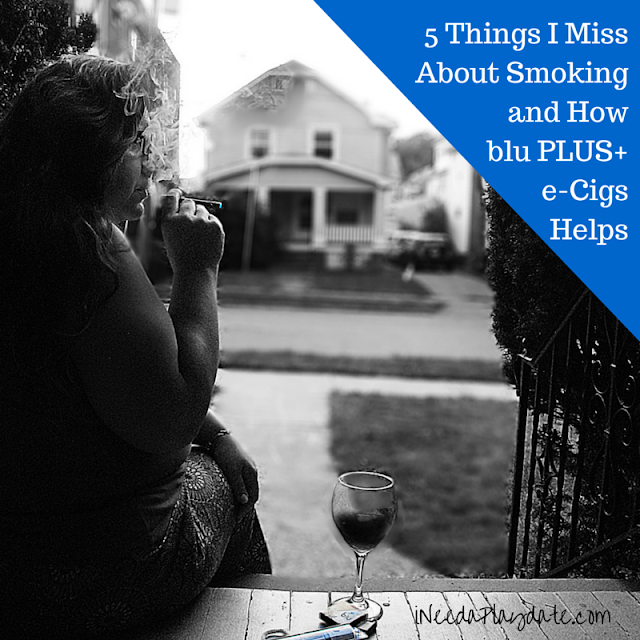 How do you know when to stop with a blu PLUS+ e-Cig? Turns out, you just know and it was easy to put down. I also don’t waste a cigarette if I can’t finish it. The best part of this whole experience is that I’m not craving a hit. I don’t feel the need to reach for it or keep it nearby, but that’s just me. Another benefit, I have an out again for awkward social situations that can only be excused by needing to vape. 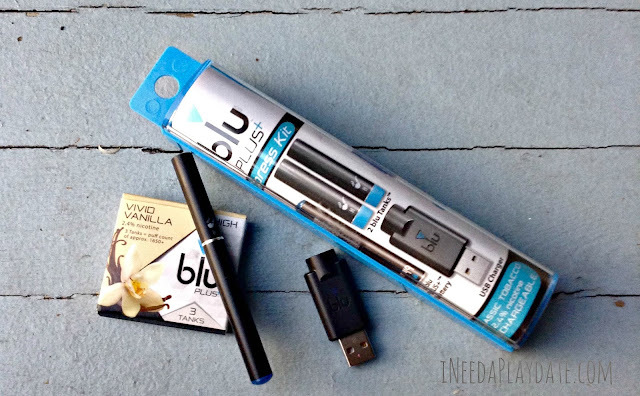 Have you ever considered blu PLUS+ e-Cigs?